The MIPI Alliance has released the first version of I3C Basic v1.0, a subset of the MIPI I3C specification that bundles the most commonly needed I3C features for developers and other standards organisations and is available without membership or royalties. Released in January 2017, MIPI I3C v1.0 streamlines and advances interface technologies for connecting processors, sensors and many other devices that had previously used I2C (Inter-Integrated Circuit), the de facto standard for over the last 35 years. MIPI I3C Basic v1.0 provides 20 key features from MIPI I3C, including backward compatibility with I2C, a multi-drop bus that, at 12.5 MHz, is over 12 times faster than I2C supports while using significantly less power and in-band interrupts to allow slaves to notify masters of interrupts, a design that eliminates the need for a separate general-purpose input/output (GPIO) for each slave and thus reduces system cost and complexity. 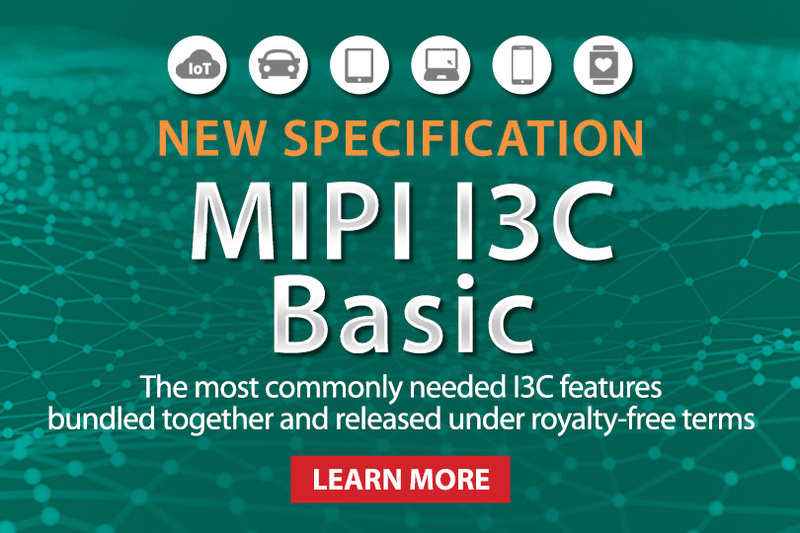 MIPI I3C Basic is available for implementation royalty-free without MIPI membership. Companies interested in implementing additional functionality (e.g., timing control, HDR Double Data Rate Mode) offered with MIPI I3C v1.0 may join MIPI Alliance for access to the specification and member IPR licensing, and to participate in specification development activities, interoperability workshops and other events. MIPI member companies that participated in the development of MIPI I3C Basic v1.0 include: Analogix Semiconductor; Cadence Design Systems; Intel; Introspect Technology; InvenSense; L&T Technology Services; Lattice Semiconductor;; NXP Semiconductors; STMicroelectronics; Synopsys and others. In conjunction with the I3C Basic release, MIPI has also published a new application note, “System Integrators Application Note for I3C v1.0 and I3C Basic v1.0,” that provides implementation guidance. Additional resources may be found at http://bit.ly/2B6Dxd7.